This is the dramatic Roanoke arbor. Its smooth graceful beam is an impressive 38 feet in length. 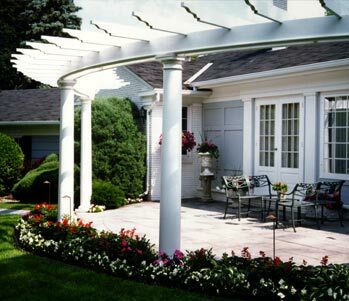 Four equally spaced columns support rafters with the timeless notched detail.